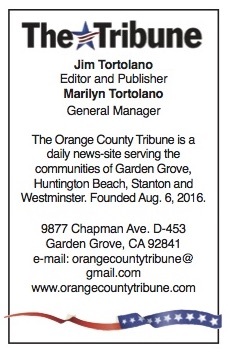 JACK SOUDERS, OVSD board president; Dennis Nicolosi, music teacher; John Brisco, board vice president; Sue Broderson, principal; John Morgan, industrial arts teacher; Patricia Singer, trustee; Gina Clayton-Tarvin, board clerk; Norm Westwall, trustee. What do a school principal, woodshop teacher and a music director have in common? In the Ocean View School District, these three are all recipients of an Orange County Music and Arts Administrator Award for 2018. 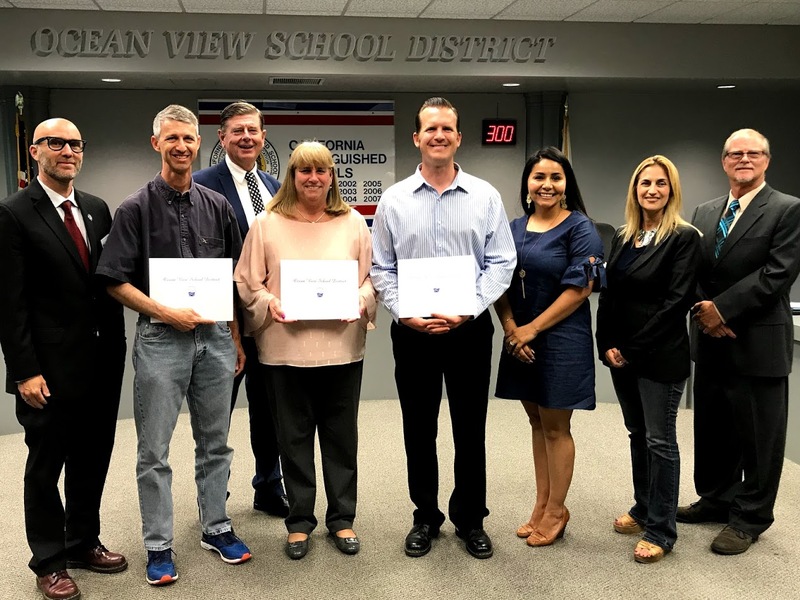 Winners from the OVSD are Westmont Elementary School Principal Sue Broderson, Mesa View Middle School music teacher Dennis Nicolosi and Spring View Middle School industrial arts teacher John Morgan. Broderson guided the launch of her school as the area’s only visual and performing arts elementary school. Nicolosi started the middle school music program in OVSD 25 years ago, and he continues to mentor new music teachers. Morgan brings full-year woodworking classes to Spring View Middle School and received the 2018 Julianna McGrath Award, which honors those who champion arts in the classroom. All OCMAA award recipients were honored on May 9.